For three decades, deep tectonic forces have been silently tearing Pakistan away from the Subcontinent and driving it towards the Arabian Peninsula. This continental drift is not geophysical but cultural, driven by a belief that Pakistan must exchange its South-Asian identity for an Arab-Muslim one. Grain by grain, the desert sands of Saudi Arabia are replacing the alluvium that had nurtured Muslim culture in the Indian Subcontinent for over a thousand years. A stern, unyielding version of Islam – Wahhabism – is replacing the kinder, gentler Islam of the Sufis and saints. This drift is by design. Twenty-five years ago, the Pakistani state pushed Islam onto its people. Prayers in government departments were deemed compulsory; floggings were carried out publicly; punishments were meted out to those who did not fast during Ramadan; selection for academic posts required that the candidates demonstrate knowledge of Islamic teachings, and the jihad was emphasised as essential for every Muslim. Today, such government intervention is no longer needed due to the spontaneous groundswell of Islamic zeal. The notion of an Islamic state – as yet in some amorphous and diffused form – is more popular than ever before, as people look desperately for miracles to rescue a failing state. Across the country, there has been a spectacular increase in the power and prestige of the clerics, attendance in mosques, home prayer meetings (dars and zikr), observance of special religious festivals, and fasting during Ramadan. Villages have changed drastically, driven in part by Pakistani workers returning from Arab countries. Many village mosques are now giant madrasas that propagate hard-line Salafi and Deobandi beliefs through oversized loudspeakers. They are bitterly opposed to Barelvis, Shias and other Muslims who they do not consider to be Muslims. Punjabis, who were far more liberal towards women than were the Pashtuns, are now beginning to embrace the line of thought resembling that of the Taliban. Hanafi law (from one of the four schools of thought or jurisprudence within Sunni Islam) has begun to prevail over tradition and civil law. Among the Pakistani lower-middle and middle classes lurks a grim and humourless Saudi-inspired revivalist movement (which can be called ‘Saudi-isation’) that frowns upon every form of joyous expression. Lacking any positive connection to culture and knowledge, it seeks to eliminate ‘corruption’ by strictly regulating cultural life and seizing absolute control of the education system. “Classical music is on its last legs in Pakistan; the sarangi and vichtarveena are completely dead,” laments Mohammad Shehzad, a student of music. Indeed, teaching music in public universities is vehemently opposed by students of the Islami Jamaat-e-Talaba, religious fundamentalists who consider music haram. Kathak dancing, once popular among the Muslim elite of India, has no teachers left in Pakistan, and the feature films produced in the country are of next to no consequence. Meanwhile the Pakistani elites, disconnected from the rest of the population, comfortably live their lives through their vicarious proximity to the West. More than a quarter-century after the state-sponsored Islamisation of the country, the state in Pakistan is itself under attack from religious militants, and rival Islamic groups battle each other with heavy weapons. Ironically, the same army – whose men were recruited under the banner of jihad, and which saw itself as the fighting arm of Islam – today stands accused of betrayal, and is targeted by Islamist suicide bombers on an almost daily basis. The militancy that bedevils Pakistan is by no means confined to the tribal areas; it breeds feverishly in the cities as well. Pakistan’s self-inflicted suffering comes from an education system that propagates the jihad culture, which ceaselessly demands that Islam be understood as a complete code of life, designed to create in the minds of the school child a sense of siege and embattlement. The process begins early. For example, the government-approved curriculum of a Class V Social Studies textbook prescribes that the child should be able to “Make speeches on Jehad and Shahadat”, and “Understand Hindu-Muslim differences and the resultant need for Pakistan.” The material placed before the Pakistani schoolchild has remained largely unchanged even after the attacks of 11 September 2001, which led to Pakistan’s abrupt desertion of the Taliban and the slackening of the Kashmir jihad. Indeed, for all the talk of ‘enlightened moderation’, then-General Pervez Musharraf’s educational curriculum, passed down with some dilution from the time of Zia ul-Haq, was far from enlightening. Fearful of taking on powerful religious forces, every incumbent government has refused to take a position on the curriculum. Thus, successive administrations have quietly allowed the young minds to be moulded by fanatics. As such, the promotion of militarism in Pakistan’s schools, colleges and universities has had a profound effect on young people. Militant jihad has become a part of the culture in college and university campuses, with armed groups inviting students for jihad in Kashmir and Afghanistan. The primary vehicle for ‘Saudi-ising’ Pakistan’s education has been the madrasa. During the war against the Soviet occupation of Afghanistan, madrasas provided the US-Saudi-Pakistan alliance that recruits needed for fighting a ‘holy’ war. Earlier on, this role had been limited to turning out the occasional Islamic scholar, using a curriculum dating back to the 11th century with minor subsequent revisions. The principal function of the madrasas had been to produce imams and muezzins for mosques. The Afghan jihad changed everything. Under Zia, with active assistance from Saudi Arabia, madrasas sprang up across the length and breadth of Pakistan, and now number about 22,000. The free room, board and supplies provided to students has always constituted a key part of the appeal to join these madrasas. But the desire of parents across the country for their children to be ‘disciplined’, and to be given a thorough ‘Islamic’ education, is also a major contributing factor. One of the chief goals of the Islamists is to bring about a complete separation of the sexes, the consequences of which have been catastrophic. Take the tragic example of the stampede in a madrasa in Karachi in April 2006, in which 21 women and eight children were crushed to death, and scores more injured; all the while, male rescuers were prevented from assisting. Likewise, after the October 2005 earthquake, as this writer walked through the destroyed city of Balakot, a student of the Frontier Medical College described how he and his male colleagues were stopped by religious elders from digging out injured girls from under the rubble of their school building. The drive to segregate the sexes is now also influencing educated women. Vigorous proselytisers of this message, such as Farhat Hashmi – one of the most influential contemporary Muslim scholars, or ulema, particularly in Pakistan, the UK and the US – have become massively successful, and have been catapulted to heights of fame and fortune. Two decades ago, the fully veiled student was a rarity on any university or college campus in Pakistan. Abaya was once an unknown word in Urdu, but today many shops in Islamabad specialise in these dreary robes, which cover the entire body except the face, feet and hands. At colleges and universities across Pakistan, female students are today seeking the anonymity of the burqa, outnumbering their sisters who still dare to show their faces. The immediate future of Pakistan looks grim, as increasing numbers of mullahs are creating cults around themselves and seizing control over the minds of their worshippers. In the tribal areas, a string of new Islamist leaders have suddenly emerged – Baituallah Mehsud, Fazlullah, Mangal Bagh and Haji Namdar among others – feeding on the environment of poverty, deprivation, lack of justice, and extreme disparities in wealth. In the long term, Pakistan’s future will be determined by the ideological and political battle between citizens who want an Islamist theocratic state, and citizens who want a modern Islamic republic. It may yet be possible to roll back the Islamist laws and institutions that have corroded Pakistani society for over 30 years, and defeat the ‘holy’ warriors. However, this can only happen if Pakistan’s elected leaders acquire the trust of the citizens. To do this, political parties, government officials and, yes, even generals will have to embrace democracy, in both word and deed. Pervez Hoodbhoy is a social activist and physicist at Quaid-e-Azam University in Islamabad. Both the terms Sufi and Sufism and Sufi beliefs have no basis from the traditional Islamic sources of the Qur'an and Sunnah, a fact even admitted by themselves. Rather, Sufism is in essence a conglomerate consisting of extracts from a multitude of other religions with which Sufi's interacted. During the primary stages of Sufism, Sufis were characterised by their particular attachment to zikr (remembrance of Allah) and asceticism (seclusion), as well as the beginning of innovated practices to 'aid' in the religious practices. Yet even at the early stage of Sufism, before their involvement in innovated rituals and structured orders, the scholars warned the masses of the extremity of Sufi practices. Imam Al-Shafi' had the opinion that "If a person exercised Sufism (Tasawafa) at the beginning of the day, he doesn't come at Zuhur except an idiot". Imam Malik and Ahmad bin Hanbal also shared similar ideas on this new movement which emanated from Basrah, Iraq. Although it began as a move towards excessive Ibaadah, such practices were doomed to lead to corruption, since their basis did not come from authentic religious doctrines, but rather from exaggerated human emotions. Sufism as an organised movement arose among pious Muslims as a reaction against the worldliness of the early Umayyad period (AD 661-750)4. The Sufis exploited the chaotic state of affairs that existed during the fifth and sixth centuries A.H. and invited people to follow their way, alleging that the remedy to this chaos was conformity to the guidance of their order's Sheikhs. Dar al-Majnoon was established during the reign of Khalifah Ma'moon, where he invited the scholars of the Romans and Greeks to meet with the Muslims and 'discuss' their respective positions. This provided the perfect breeding ground for the synthesis between Islam and Pagan theology, to produce the Sufism of the likeof Ibn Arabi. With the demise of the Companions and their successors, the door became open for the distortion of Islamic Principles. The enemies of Islam had already burrowed deep into the ranks of Muslims and rapidly caused Fitnah through their spreading of forged hadith and subsequently created new sects such as the Khawaarij and Mu'tazilah. Sufism gained its breeding ground during this period, whereby it gained its support from the Dynastic Rulers, who had deviated from Islam to the extent whereby magic was used as entertainment in their courts, even though magic is considered as Kufr in Islam.5 During this period, Sufism developed its Shi'a flavour, indeed the roots of contemporary Sufism have been traced back to Shi'a origins (see later). Sufi ideology and thinking flourished during the times of the likes of Muhyiddin Ibn Arabi, Jalal Ad Din Rumi, and Imam Ghazali. Their translation of Greek philosophical works into Arabic during the third Islamic century left an indelible mark on many aspects of Sufism, resulting in Greek pantheism becoming an integral part of Sufi doctrine. Pagan practices such as Saint worshipping, the use of magic and holding venerance towards their Sheikh overtook the Orthodox practices of Islam and had little resemblance to the Islam left by our Prophet (s.a.w). By examining the mystic doctrines of Christianity, Hinduism, Taoism and other religions, it becomes clear how closer Sufism is to these religions than to Islam. In fact, Sufism is never characterised under "Islam" in any system of catalogue, but rather under 'Mysticism'. The Sufi doctrine of all religions being acceptable before Allah is derived from the Mystical beliefs of other religions, and not Islam, for Allah says: "Truly, the religion in the Sight of Allah is Islam..." [2: 19]. "No Buddhist who understands the Buddha's teaching thinks that other religions are wrong... All religions acknowledge that man's present state is unsatisfactory. All teach an ethics that includes love, kindness, patience, generosity and social responsibility and all accept the existence of some form of Absolute." Sufis totally deny all of Allah's Attributes, such as His Face, His Hands, His Istawaa etc, using metaphorical meanings to explain His Attributes. Although the Companions and Tabi'een believed in them without any resemblance to His creation, the Sufi's deem His Attributes to be a part of His creation. Music of all forms is forbidden by the majority of scholars, and remains attached to forbidden practices such as drinking, fornication and parties. However, after the Muslim conquest of the Deccan under Malik Kafur (c. 1310), a large number of Hindu musicians were taken with the royal armies and settled in the North. The acceptance of the Sufi doctrines, in which music was an accepted means to the realisation of God, enabled Muslim rulers and noblemen to extend their patronage to this art.14 At the courts of the Mughal emperors Akbar, Jahangir, and Shah Jahan, music flourished on a grand scale, and Sufi Dervishes used music as a means to enter ecstatic trances. Allah's Messenger (s.a.w) said in a lengthy hadith concerning the appearance of vile acts, "...when singing-girls and stringed instruments make their appearance, wines are drunk, and the last members of this people curse the first ones, look at that time for a violent wind, an earthquake, being swallowed up by the earth, metamorphosis, pelting rain, and signs following one another like bits of a necklace falling one after the other when its string is cut." [Tirmidhi ]. The deception of Sufism is brought to full light by looking at the lives of their esteemed leaders, the Sheikhs of whom which they place full trust in heir knowledge and obey their every command, and by contrasting the Orthodox Islamic teachings against the Sufi alternative. Sufi Sheikhs: Role Models or Deviants? Bayazid is considered to be "of the six bright stars in the firmament of the Prophet (s.a.w)"15, and a link in the Golden Chain of the Naqshibandi Tariqah. Yet his life reeks of Shirin all aspects. Bayazid al-Bistami was the first one to spread the reality of Annihilation (Fana'), whereby the Mystic becomes fully absorbed to the point of becoming unaware of himself or the objects around him. Every existing thing seems to vanish, and he feels free of every barrier that could stand in the way of his viewing the Remembered One. In one of these states, Bayazid cried out: "Praise to Me, for My greatest Glory!" Yet this concept is to be found nowhere in the Qur'an, nor Sunnah, nor in the behaviour in the Salaf us Saalih. Bistami's belief in the Unity of all religions became apparent when asked the question: "How does Islam view other religions?" His reply was "All are vehicles and a path to God's Divine Presence." Was this the Message of Tawheed which the Prophet (s.a.w) practised and was followed by the Sahaabah? He attributed the believers to be the same as the disbelievers themselves, who Allah describes as being worse than cattle (Surah 7, verse 179) and dogs; the same disbelievers who the Prophet (s.a.w) stated he had been commanded to fight till they testified that there was no deity but Allah. Muhyiddin Ibn Arabi holds perhaps the highest position amongst all Sufi Schools, and was pivotal in the permanent split between Islam and Sufism. He claimed to have received direct orders from the Prophet (s.a.w) himself, including a book of completely new hadith never seen or heard of before. Prior to his receiving 'revelation', Ibn Arabi was well known to attend nightly parties in Seville. During one of these nights, he heard a voice (his drunk inner self?) calling to him, "O Muhammad, it was not for this that you were created". He fled in fear to a cemetery, where he claims to have met, and received instruction from, Jesus, Moses and Muhammad, peace be upon them all. From his books, innumerable forged sayings attributed to the Prophet (s.a.w) have been used, to the extent that countless of Muslims consider these to be real. Junaid was the fourth head of the Safavid order who sought to transform the spiritual strength of the order into political power. What may be unknown to his followers however was his policies of military adventurism combined with Shi'a and Sufi piety.22 His son, Haydar, himself established the Safavid dynasty and the Twelver Shi'a Islam in Iran came under his grandson, Isma'il I. "I saw a thief who was being gibbeted. I bowed to him... for being true to the profession he followed." " He who fears Allah never smiles". "One moments forgetfulness of the Lord ruins a thousands years worship". Mansur is renowned for his claim "Ana-l-Haq" (I am the Truth), for which he was executed for apostasy. Yet he is still revered by Sufis even though he abandoned all the laws governing Tawheed. Abu Yazid once prayed one Juma'a prayer in 24,000 different places. He told the religious authorities in one place: "I was praying in 12,000 different houses of worship today." They asked: "How?" He said, "By the power of the Lord Almighty. If you don't believe me, send people around to ask." They sat and waited until messengers returned saying that he was seen in so many places. Abu Yazid said later: "I was afraid to say 24,000, so I only said 12,000." So Abu Yazid clearly lied, when he could have simply not mentioned anything in the first place. Are these truly the ones who we are told to receive the knowledge of our religion from? Do these men reflect the teachings of Islam? A man who left obedience to his mother, to the obedience of a dog? Are we supposed to follow men who receive revelation in a cemetery after spending the night at a party? Or a man who kills his slave girl for 'disturbing' his worship? To us, Islam calls smiling a charity, not a deviation from Allah's Pleasure. Islam forbids prostration to anyone but Allah. The Prophet (s.a.w) used to make du'a seeking Allah's guidance, not begging for heresy. And Islam teaches us truthfulness, not lies. Yet Muslims believe that any single act of worship must be substantiated by the Qur'an and Sunnah only. Allah the Exalted says:"Say (to them), 'Produce your proof if you are truthful'." [2: 111], and the Prophet (s.a.w) said "The created is not to be obeyed over the Creator." The Sheikh is given the standing of a deity in Sufism. Attributes which belong to Allah, are also assigned to their Sheikhs. They seek help from them, whether they are dead or 10,000km away. They believe that their sheikhs know everything their students are thinking, and that they converse with the Prophet (s.a.w) on a regular basis (in reality). Since the Qur'an and Saheeh Hadith cannot be changed, the Sufi's have reverted to Ta'weel, a method of changing the apparent meaning of the verse or hadith to have a hidden one. This provided them with sufficient lee-way to support any concept they desired, by simply stating that the verse/hadith had an inner meaning which only the Sheikh himself could know. "If they (Noah's people) had abandoned them, they would have become ignorant of the Reality ... for in every object of worship there is a reflection of Reality, whether it be recognised or not." The stories also of Khidr and his meeting with the 'Awliyaa', the 40 Abdaal's who are always on the Earth and can be at any place in the wink of an eye, are derived from Jewish and Christian legends, not Islamic traditions. Imam Malik remarked: "That which was not religion at the time of the Messenger and his companions, may Allah be pleased with them all, is never to be religion today. He who introduces a Bid'ah (innovation) in the religion of Islam and deems it a good thing, claims by so doing that Muhammad (s.a.w) betrayed the Message." The Sufis are to be found indulging in and spending an enormous amount of resources defending innovated practices, declaring them to be "good innovations." These include celebrating the death of the Prophet (s.a.w) (a practice adopted from the reign of Fatamids, who began this innovation in order to seek the pleasure of the masses), reading Qur'an over the dead and seeking blessings form them, and the building of extravagant mosques (even though our Prophet (s.a.w) forbade this. Anas reports that the Messenger of Allah said: "The Hour will not come to pass until the people vie with each other in (building) the mosques." [Ahmad, Abu Dawud, anNasa'i, Ibn Majah] ). The Sufi's have become such an integral part of the lives of so many Muslims that Muslims are finding it difficult to accept that the Sufi path is wrong, and accuse anyone who pinpoints the errors of Sufism as an extremist or a follower of some 'deviant' sect. Sufism calls to human emotions rather than intellect and Islamic evidence. For example, poetry and music were the most popular form during the past hundreds of years, whereby "Sufi ideas permeated the hearts of all those who hearkened to poetry. "27 Today, Sufism is followed by masses of people who desire to leave behind the complexities of this world, instead of building the ability to challenge it. Sufism provides the perfect escape, where its followers can meditate instead of thinking about the other Muslims who are suffering, let alone help them. Sufism is so similar to other religions, and as we noted earlier very tolerant of them, that a change to Sufism does not involve a complete change of life, as Islam requires. So Buddhists, Sikhs, Taoists and mystic Jews and Christians looking for an easy alternative find solace in Sufism which perhaps only adds another dimension to their previous way of life, rather than uprooting it and starting afresh. Ibnul-Jawzee says in Talbees Iblees: "Sufism is a way whose beginning was complete avoidance of the affairs of worldly life, then those who attached themselves to it became lax in allowing singing and dancing. Therefore the seekers of the hereafter from the common people became attracted to them due to the avoidance of the worldly life which they manifested, and the seekers after this world were also attracted to them due to the life of ease and frivolity which they were seen to live." Sufism offers its followers a life carefree from fighting (Jihad), politics, the initiative to seek knowledge and teach it, the work of Da'wah, and allows a person to indulge in worldly activities such as music, magic, and other prohibited acts. The leader of the Naqshibandi Tareeqa in America, was quoted in the media as saying the following: "You have to be both material and spiritual. Sufis can give people joy in their spiritual life. Well, Madonna is giving people a kind of joy in their material life... You cannot say she is wrong. Sufis don't object and criticise - they are accepting everything. That's why, when my children are looking at Madonna on MTV, I say, 'Let me come and look also!'" Since the Qur'an and Hadith are readily available, and cannot be changed, the Sufis have resorted to another trick used by other Mystics: Ta'weel, or changing the apparent meaning of a verse or hadith to a secret inner one which only a certified Sheikh could explain! They also rely on providing the mass with forged hadith, such as the one stating the beseeching of Adam (a.s) in the name of Muhammad when he sinned; the stories of Khidr; the rising of the Prophet (s.a.w) from his grave so a person could kiss his hand and so on. Because of the lack of knowledge the general mass possess on the knowledge of Hadith and Aqeedah, they believe what they are told, and pass on the stories to other generations, becoming distorted even more along the way. Another smart tactic is to attribute forged sayings in support of the Sufi's from the righteous scholars. For example, Ibn Taymiyyah is attributed to have been a member of the Qadiri order and had been initiated, and spoken great words on Bistami and his likes. Yet Ibn Taymiyyah spent the majority of his life fighting against the teachings of Sufism, was imprisoned because of them, and bluntly stated "...Ibn Arabi who wrote "Al-Fousous," and other slandering atheists such as Ibn Sab'een and his like. They even witness that they are simultaneously the worshipers and the ones being worshiped." Sufis distracted the Muslims from the teachings of the Qur'an and Sunnah towards the servitude of the Sheikh. Muslims thus became alienated from the teachings of Islam, and possessed no protection from the innovations and trappings of the deviant sects. Teachings such as "He (the follower) must not look to any other than his Sheikh" did nothing to cement the community. Rather, it sent the ball rolling for the wars between the various Mathabs, which culminated in fighting, rejection of each other faiths, and praying at different stations in Makkah itself. The Sufi's have left a lasting impression on the image of Islam, portraying it as one of peace and apolitical, and anyone who contravenes this is an impostor and considered an extremist. By relying on forged hadith such as the 'bigger Jihad is Jihad'ul Nafs (i.e. struggle against the self)' and its like, Muslims have been made to believe that work and family is the greatest Jihad, rather than establishing Allah's religion on Earth though the use of the sword. The Sufi influence undoubtedly contributed greatly to the decline of the Ottoman Empire. The pacifist views they spread, the lack of Shari'ah knowledge, and their befriending of the disbelievers, made sure that no one would oppose the vast changes being made to the Ottoman Laws. By 1880, the Tanzimat period was in full force, where Shari'ah was replaced by European Laws (except in limited circumstances such as in Hadd punishments), yet little opposition was heard29. Whilst the masses were busy in the construction of extravagant mosques and spinning around in circles, the Ottoman Empire was overtaken by Masons and eventually torn to parts. Sufism was doomed to destruction from when it first emerged, because of its deviation from the teachings of the Qur'an and Sunnah. The small excess, the little innovation, led to the snowball effect, such that it emerged as a movement for well-meant increased Ibaadah and Zuhd, to Kufr and Innovation. In truth, Islam is sufficient for us, and it is only Shaytaan who wishes to turn us away from our religion, to make us exceed the limits, and fall into his trap. The only sure way to avoid this is to grasp tightly onto what was left to us by our beloved Prophet (s.a.w), the Qur'an and Sunnah, as understood and believed and acted upon by the best people to have lived: the Salaf us Saalih, the Companions and those who followed their footsteps. 28 They recently came to perform in Australia, charging $30 per head. Only the elite went to watch this 90 minute theatrical display. Assalamu Alaikum. This is not a fair or academic analysis by mr Hoodabhoy.He thinks so-called Wahabism is replacing kinder Islam.This point has several faults.One is the main stream of the Muslims in Pakistan are neither so-called Wahabis or Soofis.Wahabism is a misnomer , at the most you can say part of the people is highly conservative and they require better education.Followers of Soofismay be five percent or less though Soofis are respected by most people. The writer has essentially blamed Islamic education, hijab and some Islamic laws.This is his conjecture.In fact the turbulence in Pakistan is because of foreign powers interference , failure of politicians, un-necessary army interference etc. This is a short response, no detail response is really necessary as it is highly partisan and one-sided. What are the forces and who are the people behind so called selfstyled New Age Islam and their 'agenda'? Where were all those when such things were happening and why they did not open their mouths then? Allah, Hijab and Jihad? What are the alternatives? Did not America and her Allies including Britain and European Union tolerate Wahabbism as long as it served their purpose and supported Jihad in Afghanistan against Russia? THIS IS ONE OF THE MOST DETAILED CRITIQUES OF MY BOOK. PERHAPS THE MOST ARTICULATE ONE YET BY AN ORTHODOX BELIEVER. In this book, Dr. Hoodbhoy, a nuclear physicist, eloquently and usefully draws attention to the plight of science and technology in the Muslim world and to the need to do something about it. The book also makes some other helpful insights here and there about why, after centuries of brilliant achievements, science suffered such a fate in the Muslim world. 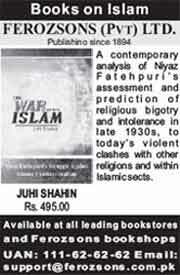 But the book also suffers from some very serious flaws in its view of Islam and analysis of Islamic history. IN CONCLUSION, Hoodbhoy’s perspective on “Islam and Science” comes from a lost faith and from a somewhat immature rationality. For this reason he cannot see what some other thinkers such as Allamah Iqbal could see: Secular humanism or any other similar set of ideas is not the “only way”. Islamic civilization, after its present ruin, will once again vibrate with life as an authentically Islamic civilization, not only overcoming some of its deep problems but also guiding humanity to a vastly better alternative to the existing world order. The US keeps kicking hornet’s nests around the globe and wondering why it continues getting stung. The latest example: Pakistan’s once beautiful Swat Valley has been turned into a battlefield. Last week, Pakistan finally bowed to Washington’s angry demands to unleash its military against rebellious Pashtun tribesmen of Northwest Frontier Province (NWFP) – who are collectively mislabeled `Taliban’ in the west. They are not the Afghan Taliban, but it’s convenient fore the western media and Pentagon to slap that label on them. The Obama administration had threatened to stop $1.2 billion annual cash payments to bankrupt Pakistan’s political and military leadership, and block $5.5 billion future aid, unless Islamabad sent its soldiers into Pakistan’s turbulent NWFP along the Afghan frontier and crushed attempts to re-establish Islamic Law and autonomy. Many people in the region want Islamic law because in utterly corrupt Pakistan it represents the only honest and swift judicial system. The only other `law’ available has to be bought. Pakistan’s army and air force claimed to have killed 1,000 `terrorists’ (read: mostly civilians) and almost emptied the valley of its inhabitants. UN sources now say the operation has created close to 2 million refugees. Pakistan’s armed forces, who are being paid by the US to fight Pashtun tribes, have scored a brilliant victory against their own people. Too bad Pakistan’s military does not manage to do as well in wars against India. Blasting civilians at home, however, is much safer and more profitable. Unable to pacify Afghanistan’s Pashtun tribes (again, lumped together as `Taliban’), a deeply frustrated Washington has begun tearing Pakistan apart in an effort to end Pashtun resistance in both nations. CIA drone aircraft have so far killed over 700 Pakistani Pashtun. Only 6% were militants, according to Pakistan’s media, the rest civilians. Pashtun, also improperly called Pathan, are the world’s largest tribal people. Fifteen million live in Afghanistan, forming half its population. Twenty-six million live right across the border in Pakistan. Up to three million Afghan Pashtun are refugees in Pakistan. True to their strategy of divide and rule, Britain’s imperialists split the Pashtun by an artificial border, the Durand Line (which became today’s Afghan-Pak border). Pashtun reject this artificial border. Many Pashtun tribes agreed to join Pakistan in 1947 provided much of their homeland remain autonomous and free of government troops. Pashtun Swat, where Islamic Sharia law was in force, only joined Pakistan in 1969 after assurances of autonomy and religious freedom. As Pakistan’s Pashtun increasingly aided Pashtun resistance in Afghanistan, US `Predator’ drones began attacking them. Washington forced Islamabad to violate its own constitution by sending troops into Pashtun lands. The result was the current explosion of Pashtun anger. I have been to war with Pashtun and have seen their legendary courage, strong sense of honor, and determination. They are also hugely quarrelsome, feuding, prickly, and notorious for seeking revenge. .
One learns never threaten a Pashtun or give him ultimatums. These mountain warriors defied the US by refusing to hand over Osama bin Laden because he was a hero of the anti-Soviet war and their guest. Doing would have violated their ancient code of `Pashtunwali’ that still guides them. Now, Washington’s ham-handed policies and last week’s Swat atrocity threaten to ignite Pakistan’s second worst nightmare after invasion by India: that its 26 million Pashtun will secede and join Afghanistan’s Pashtun to form an independent Pashtun state, Pashtunistan. This would rend Pakistan asunder, probably provoke its restive Baluchi tribes to secede, and might tempt mighty India to intervene military, risking nuclear war with beleaguered Pakistan. The Pashtun of Northwest Frontier have no intention or capability of moving into Pakistan’s other provinces, Punjab, Sindh and Baluchistan. They just want to be left alone. Alarms of a `Taliban takeover of Pakistan’ are driven by ignorance or propaganda. Lowland Pakistanis have repeatedly rejected militant Islamic parties. Many have little love for Pashtun, whom they regard as mountain rustics best avoided. Pakistan’s Islamist parties have traditionally won less than 10% of the national vote. Nor are Pakistan’s well-guarded nuclear weapons a danger – at least not yet. Alarms about Pakistan’s nukes come from neoconservative fabricators worried about Israel. The real danger is in the US acting like an enraged mastodon, trampling Pakistan under foot, and forcing Islamabad’s military to make war on its own people. 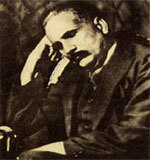 Pakistan could end up like US-occupied Iraq, split into three parts and helpless. If this continues, at some point nationalistic Pakistani soldiers may rebel against the corrupt generals and politicians on Washington’s payroll. Equally ominous, a poor people’s uprising spreading across Pakistan – also mislabeled `Taliban’ - threatens a radical national rebellion similar to India’s spreading Maoist Naxalite rebellion. As in Iraq, ignorance and military arrogance continue to drive US Afghan policy. Obama’s people have no understanding what they are getting into in `Afpak’ than did the Bush administration. They will learn the hard way.